BANGKOK: With the 37th Bangkok International Motor Show opening its gates for the media today, news about launches and showcases are flooding the Internet. 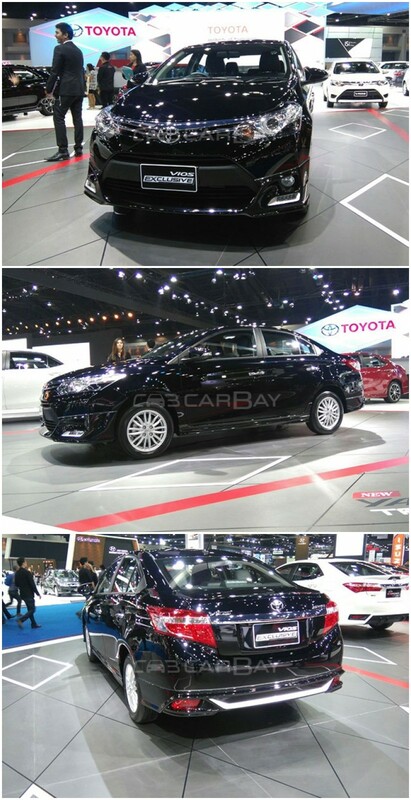 In-line with these developments, Toyota Thailand has showcased an important car at their booth, the 2016 Toyota Vios Exclusive. This new Toyota Sedan is basically an all-new trim in the existing Vios variant lineup, which has been loaded with new dashboard layout and enticing features. On the exteriors, the major difference lies on its front fascia. The 2016 Vios Exclusive gets projector headlamps, a twin-slat chrome grille, front bumper extensions, and a pair of new LED DRLs. Move to the side, and the changes become a bit more subtle. 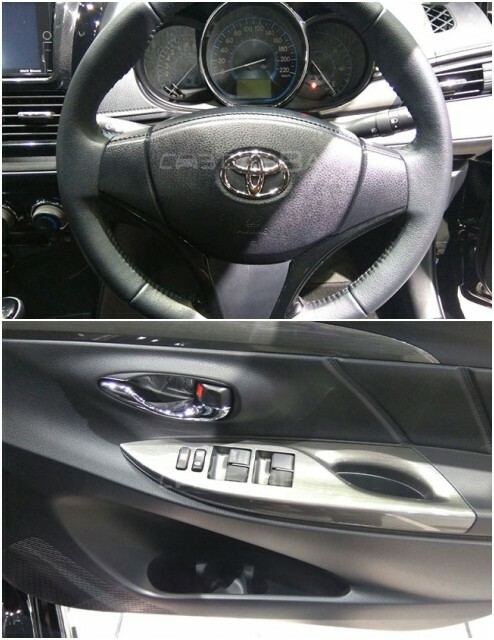 The all-new Vios gets turn indicators integrated on the ORVMs, side skirts, and chrome door handles. Blacked-out B-pillar further adds dynamism to the car's character. The tail gets a prominent chrome line running along the width of the boot, which ends in tastefully designed LED taillights at both ends. The rear bumper too gets a significant design tweak, with the prominent bumper extension housing a pair of reflectors. Though one can differentiate the Exclusive trim from other pre-existing variants at the first glance, the differentiation becomes a lot more significant after stepping inside the cabin. The most noticeable change are the Gray hydro-graphics adorning the front console and door panels. 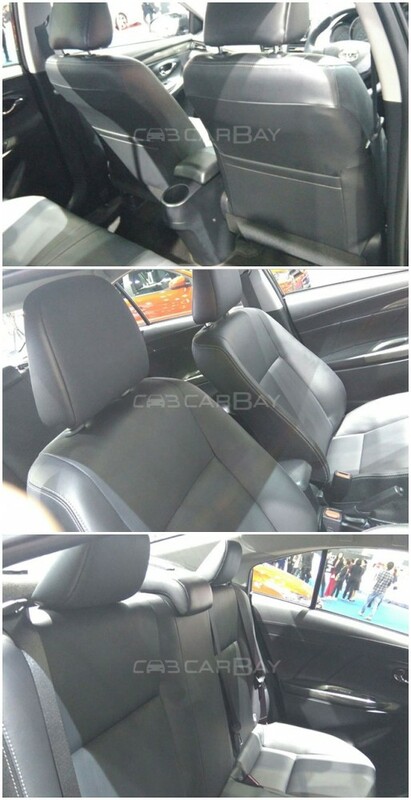 Seats of the Vios Exclusive are wrapped in synthetic leather that add plushness to the cabin's ambiance. Leather wrapped steering wheel along with piano black inserts further enhance the Vios interior's charisma. Powering the 2016 Toyota Vios Exclusive will be the same 1.5-litre, 4-cylinder, dual VVT-i engine that was recently introduced across the Vios lineup. This power mill is capable of developing around 106 hp of power and a peak torque of 140 Nm. All this power will be supplied to the front wheels via a sophisticated 7-speed CVT unit, that provides an optimum combination of performance and efficiency. Toyota Thailand is expecting to enhance its footprint in the Thailand automobile market with the launch of the new Vios. Moreover, the hatchback segment too has been stirred by the Japanese automaker, after it recently unveiled the Toyota Yaris 2016, which features a revised power-train.